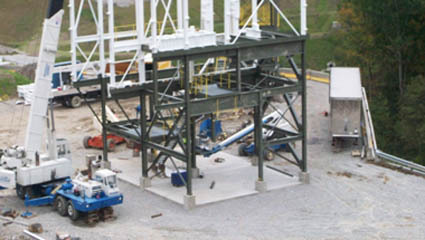 Our in-house engineering capabilities include civil and structural design services for all types of storage bins and bunkers, transport systems, industrial structures, including heavy equipment foundations and installation. Our services include site evaluation, conceptual design, modeling and in-depth analysis, detailed engineering, construction documentation, fabricator and construction inspection, and construction management. The Farnham and Pfile structural team has extensive experience in brownfield upgrades and modifications.